Ten rounds are in the books in Germany, and it’s been arguably the most exciting opener in the Bundesliga since 2007/08 when newly promoted Hoffenheim went on to be Herbstmeister. Fast forward to today, where Nageslmannia is sweeping the nation in Sinsheim. That is also of course Ralf Rangnick’s former team, while his current one RB Leipzig is on a similar path, as they are astonishingly tied with the mighty Bayern. However, unlike Ralph Hasenhüttl’s men, Carlo Ancelotti’s Bayern are earning a lot of points, but are arguably playing below their own lofty standards. Meanwhile in Berline, Pál Dárdai is quietly in contention for the coach of the year prize, as he continues to get the most out of a limited squad full of Bundesliga veterans, cast-offs and youngsters. Speaking of youngsters: Borussia Dortmund are experiencing some growing pains of their own, and while it has been exhilarating to watch, BVB fans would probably prefer a lesser range of outcomes than anywhere from 0:0 to 6:0 on just about any matchday. Eintracht Frankfurt and Cologne have been two more surprise packages, with Niko Kovac’s team doing with a stout defense and the brilliance of Marco Fabián, while it’s mostly about Anthony Modeste and his associates (Hector, Risse and Osako) in the Carnival city for Peter Stöger and co. Freiburg are the only team out of the next four that is happy (though I suspect the Grinch known as Christian Streich does not really know the meaning of the word), and the Breisgau side are still yet to play a draw this season. Leverkusen, Mainz and Gladbach are all underperforming, with embarrassments (Sportfreunde Lotten, Man. City and Anderlecht) outside league competition and injuries (Mainzmen Danny Latza, Andre Ramalho, Yoshinori Muti and Jairo Samperio have combined for under 250 minutes, while Kimo Bellarabi Joel Pohjanpalo, Kevin Volland, Aleksnandr Dragovic and Lars Bender of Leverkusen have played a combined 1000 minutes, and Gladbach’s Thorgan Hazard, Raffael and Mo Dahoud logging a little over 1000 minutes as well) decimating these potential challengers. The whispers about Roger Schmidt and Andre Schubert’s futures are thus more understandable. Schalke and Wolfsburg have each had their crisis, with Markus Weinzierl surviving five losses to open the season, while Dieter Hecking was sent packing, with the club replacing him with Valerien Ismael now on at least until the end of the year. So that’s the roundup as far as coaches go, and now it’s time to choose the best coach so far. Taking into consideration the context of expectations (sorry Don Carlo and Thomas Tuchel) and results of this year, (looking at you #noCluebert and Roger Schmidt, not to mention all those who got fired or nearly got canned) there are realistically only five candidates. While Kovac deserves a lot of credit for inserting a more balanced approach than last season’s “not in the face” 5-4-1 formations that were reliant on parking the bus and Alex Meier rescuing SGE as their basic strategy, the front office should get as least as much praise for bringing in the requisite young talent with the likes of Omar Mascarell and Jesus Vallejo or Guillermo Varela (prior to his injury) and Michael Hector (on occasion) from Real Madrid, Manchester United and Chelsea, respectively. Kovac probably deserves more applause for getting so much out of his veterans like David Abraham, Szabolcs Huszti and Marco Fabián who all look like excellent players after terrible seasons last year. On the other hand, Köln are propelled by the mother of all hot streaks that Anthony Modeste is on, and while scoring 69% of the team’s goals does explain a lot, there’s credit to go around. Sporting Director Jörg Schmadtke (pictured above) and Stöger should get a lot of that for keeping Modeste, despite the Chinese mega offer, but Jonas Hector and Timo Horn were also on the radars of a lot of bigger teams. In addition, the team excelled in the transfer market: selling Yannick Gerhardt (who despite his naitonal team call up has mostly struggled as a midfielder, though not as much as a makeshift left back, in Wolfsburg) for 13 million was not only the biggest influx of cash since selling Lukas Podolski to Arsenal for 15 million. That incoming revenue allowed Effzeh to refurbish its squad on the cheap. Marco Höger cost just 1.3 million, yet has been an influential figure in the middle of the park, as evidenced by his ranking as the 20th best midfielder by Kicker. While the additions of Artjoms Rudnevs and Koka Rausch were smart signings, especially for free, Köln are performing well with a thin squad – ten players have played 700 minutes or more. Injuries to Dominic Maroh, Leo Bittencourt, Rudnevs and Timo Horn are a concern, and their dependency on Modeste is very worrisome. The advanced stats don’t really love Cologne, as they come out looking like a solid “bend but don’t break” defense that allows a lot of lowish quality shots and gets by thanks to opponents converting Leicester-level 4.2% of shots and Horn’s ridiculous 84% save percentage so far. The offense has exceeded expectations (obviously when Modeste has 11 goals and is converting 32% of his shots), and Hector’s playmaking, Rausch’s set pieces and Marcel Risse’s key passes (four assists to Modeste already leads the Bundesliga) are notable. The non-numbersy stuff and the jocular atmosphere is well-captured by this excellent piece from Archie Rhind-Tutt that I highly recommend reading. After an unbeaten start that included draws with Leipzig and Bayern, Cologne have dropped a little bit off their form in the last couple of games, losing two close ones to Hertha and Eintracht. A couple of tough road trips (Gladbach, Hoffenheim) and a home match against Dortmund are ahead in the Billy Goats’ next four games, so I’d expect them to contend with teams like Eintracht more for the seventh spot more so than the UCL places. While that’s a pretty nice improvement on the part of Kovac and Stöger it does not get them into the top 3. Pál Dárdai and Julian Nagelsmann have both outperformed them so far with their teams this year, and while there were some signs (Hertha’s Hinrunde and the Nagelsmann table) last year, it’s still a remarkable feat when their combined squad value (BSC 80m + TSG 86m) is below Wolfsburg, Schalke, Gladbach and Leverkusen who all reside between 14th and eighth in the table after 10 matches. Dárdai has once again proven himself to be capable of fielding a squad from players the Island of Misfit Toys would reject. 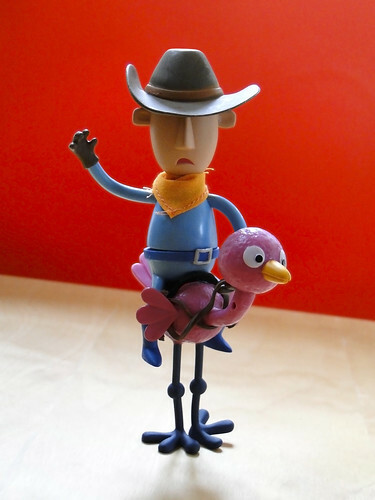 In the interest of taking this metaphor to its limits and upsetting my Hertha fan friends, I’d go with Vedad Ibisevic as the Misfit Cowboy, Mitchell Weiser as Mr. Cuddles the Teddy Bear and Salomon Kalou as Charlie in the Box. (I do welcome other suggestions in the comment section or on Twitter/Facebook). and the evidence from last season would support it, as Hertha were the third worst team of the Rückrunde. So, while that shouldn’t take away from Dárdai’s wizardry, other coaches and the sustainability keep him outside of the top two. Julian Nagelsmann is an even hotter candidate, especially in light of his team only trailing FCB and BVB with 42 points in his 23 matches, per the affectionately named Nagelsmann table. The 29-year-old’s road to the Bundesliga is now well-known, and not just thanks to another wonderful Raphael Honigstein profile: a playing career cut short at 20, internship at Tuchel university, rejecting Bayern and finally getting his shot at TSG are the main stops on his journey to the Bundesliga’s elite. Dustin Ward, a keen observer of the Bundesliga over at Statsbomb has pointed out their fatal flaw of allowing their opponents to take aim at Oliver Baumann’s goal without resistance. It’s probably not ideal when your goalie leads the league in total and per game saves, a spot reserved for relegation teams usually, but that is where TSG are. The good news is that the two most recent matches before the Bayern outburst of 21 shots were promising, a combined eleven shots allowed to Cologne and ten man Leverkusen. The bad news is that due to earlier games and the Bayern skew the team is still conceding 14.3 shots against, only beating Darmstadt, HSV and Werder, and conceding 5.1 shots on target, beating the same three teams plus Ingolstadt. Yet, compared to last year, the defense is improved in the goals against department: after conceding 1.71 per match in his inaugural season, Nagelsmann’s team has let in just eleven in ten games for 1.1 (and very much skewed by the four goal debacle vs Mainz). Niklas Sule will get most of the credit, but Benjamin Hübner’s addition to the lineup has coincided with the team allowing just three goals in five matches and Steven Zuber (own goal notwithstanding) has provided more defensive cover as the LWB…. At the same time, the offense has improved quite a bit from the end of last season: in his first 14 games, Julian Nagelsmann’s team scored 21 goals, for a 1.5 goal per game average, while you don’t need a math degree to figure out that this year’s tally of 18 goals in 10 matches adds up to 1.8 per game. If you’ve paid attention to the Bundesliga last year, you probably knew that Andrej Kramaric has put up near Lewandowski level shot numbers, and you might have even noticed that Mark Uth scored almost all of his goals under Nagelsmann. Kramaric is probably unlucky to have “just” three goals and five assists, and he is putting 3.5 shots a game with 81% passing and 1.4 key passes per game. Longtime Bundesliga fans might have scoffed at the Sandro Wagner transfer to Sinsheim, but few could have imagined the hulking center forward doing stuff like crossing six or seven times in a match. In addition to four goals already, he is also in the top ten among Bundesliga players in shots with 24, but more surprisingly only six of those shots are headers!!! He is drawing fouls at a career best rate of three per game, and he has already completed seven successful dribbles, or nearly half of last year’s output of 16! Finally, the latest gem off the 2.Bundesliga\HSV scrapheap (hey those might be one and the same in a few months) is Kerem Demirbay, who is only the third based rated player on Whoscored and the sixth best at Kicker (removing three keepers). With just 63 minutes of Bundesliga experience, the 23-year-old is posting staggering numbers: three goals, two assists, 78.5% passing, 2.1 shots per, 2.3 Key Passes per, 2.3 dribbles per game. All that and a bag of chips for 1.7 million is a freaking steal, and it’s incredibly ironic that both Leicester and HSV have spent close to a 100 million on attackers, when they could have kept Kramaric and Demirbay for under 10 million combined…. Bronze for Dárdai, silver for Nagelsmann, and thus the winner without question is Ralph Hasenhüttl. After missing out on this award last year, much to the chagrin of myself, Dustin Ward and the guys from the Challengers Podcast, RB Leipzig’s success might actually get it done for the former center forward. It’s not that RBL are unbeaten, or that they are running a great club (Ralf Rangnick again! ), they are basically 90% as good as Bayern in all the major statistical categories with a very good but not ridiculous 5.1% net conversion rate. In a related note, his former club, winless FC Ingolstadt, who have already fired RH’s replacement are at the bottom of the conversion ratings with a net minus 9.5%. You think they would like to have Ralphie back? FCI and RBL do have a lot of tactical similarities, even if Hasenhüttl uses the 4-2-2-2 instead of the 4-3-3 of die Schänzer last year. You can also see that he is somehow even ramped up the pressing, as they are above average in each zone of the pitch. The explanation is quite simple, RBL have better and younger players available, and with a deeper squad, they can rotate 13-15 players easily. Thirteen players have played over 500 minutes with GK Gulácsi, Marvin Compper, Marcel Halstenberg and Willi Orban nearly playing all 900 minutes. (the right back spot is only missing due to Bernardo’s injury). That leaves six spots for essentially nine players – Stefan Ilsanker, Diego Demme and Naby Keita (got a late start due to an injury) are the nominal DMs, but Keita loves to dribble forward and is excellent at it. (see the Bremen game!) The trio of Emil Forsberg (four goals, four assists), Stefan Dominik Kaiser (2.3 Key Passes) and Marcel Sabitzer (2.3 shots per game, with three goals, two assists) are responsible for creating and\or finishing the attack, though only two of them start. Up top, Timo Werner (five goals, two assists) and Yussuf Poulsen (3.6 aerials won) represent a combination of speed, great defense\pressing, and good finishing. They also benefit from the luxury of throwing on two more attacking threats in the speedy Oliver Burke and German Olympic Silver Medalist Davie Selke. Another added benefit to Hasenhüttl’s team is the lack of a European competition, which allows him to use a tight rotation of 15, much more easier to manage than the 18-20 that teams like Bayern and Dortmund have been forced to use. The defense puts up great numbers, and Gulácsi often has nothing to do, but Bernardo’s meniscus injury means another great young fullback lost (Lukas Klostermann tore his ACL after playing one game), and certain surprise presidential election results are easier to explain than Marvin Compper all of a sudden turning into a good Bundesliga defender. (Then again, one only needs to look at Marvin Matip and Benni Hübner for evidence of RH magic on CBs). It’s also wrong to dismiss RBL as just another German pressing team. Hasenhüttl’s tactics have been spot on, from eliminating Weigl in the Dortmund game, dominating Wolfsburg in the Volkswagen Arena, dismantling HSV and Mainz in the final and the opening 30 minutes, respectively, to having 22 shots and 61% possession to Werder or winning a low action (eleven shots for and four against) affair at Darmstadt. Alex Rathke’s XG models and Pass Maps also rate them highly, and so do most other ones. Hasenhüttl is comfortably the coach of the year after ten games, stay tuned for part 2 with defenders coming soon! Bundesliga MD 14 Recap – Yet another twist in the plot, as Ingolstadt down RBL!